Where: Cornbury Park, Charlbury, Oxfordshire. When: 8th to 11th of August 2013. Polpo banquet Lunch and Dinner on Saturday the 10th August 2013. 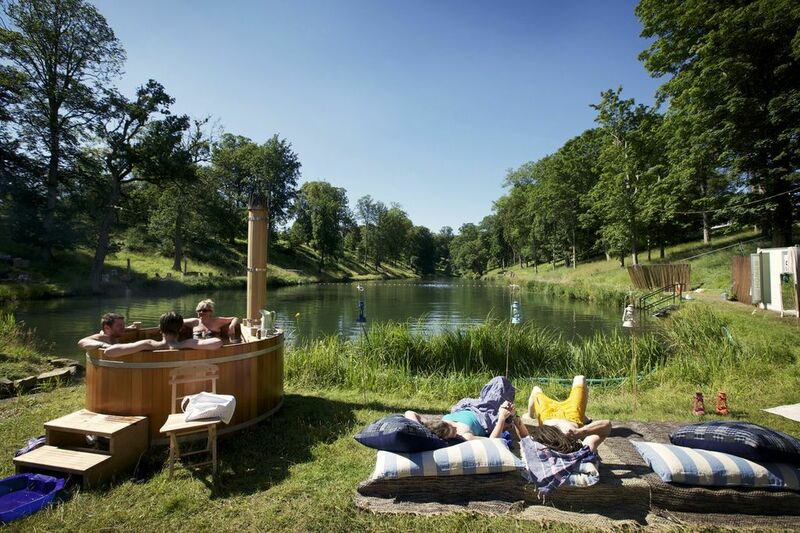 About: In a summer awash (often literally) with festivals up and down the country, Wilderness stands out for its combination of jaw dropping setting and the way it joyously celebrates all of our senses. Gorgeous, eye-popping acts, great music and some of the best food in the country all come together for a glorious weekend in the Cotswolds. During the day you can swim in the lakes, sip champagne in the lakeside spa, go horse riding or even attend a talk on astrophysics or visit the Museum of Charles Dickens. And, after all that exertion of body and mind, sit back and luxuriate in a Venetian banquet by Russell Norman and his talented gang at Polpo. A now legendary Soho restaurant serving authentic dishes from the Veneto in a laid back environment with killer cocktails, Polpo brought a new edgy, urban take on Italian food with its gritty styling and casual cichetti menu when it opened in London a few years ago. 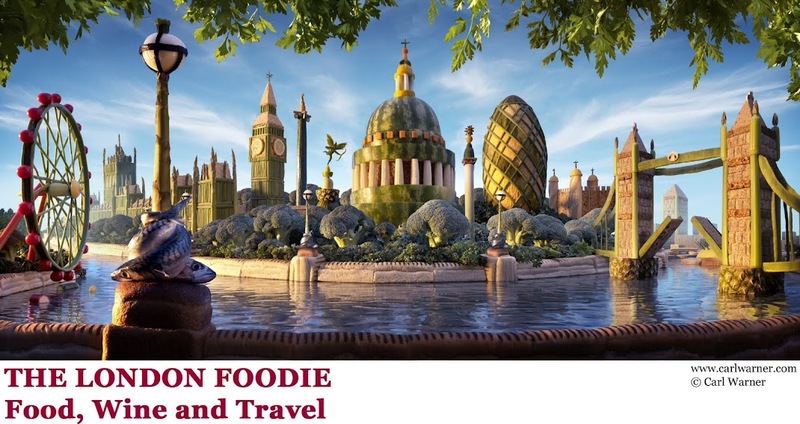 At Wilderness, Norman and his executive chef, Tom Oldroyd, will be bringing their popular cuisine to a decadent Venetian setting for both lunch and dinner. Complete with wine and Venetian masks for the highlight of the festival – the Midnight Masked Ball. What we ate: I enjoyed a taster of Polpo’s Venetian banquet recently and so, if you want the experience to be a culinary surprise, look away now. 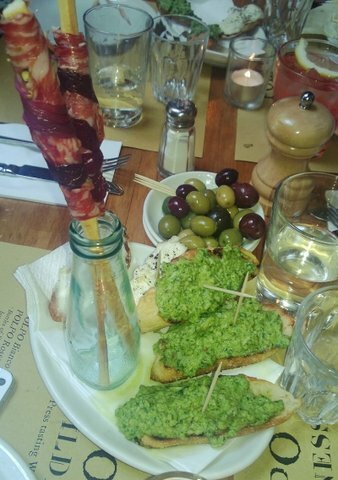 Over a lazy afternoon punctuated with Aperol Spritz, we were treated to a feast of Venetian cooking. We started with a brace of Crostini - Creamed Salt Cod and Rocket and Walnut Pesto. Both were creamy and bursting with flavour. Grissini wrapped with Fennel Salami and grilled Radicchio were the best way to eat dried bread sticks that anyone has ever come up with. The Arancini that followed were golf ball-sized and perfectly crispy with just the right amount of gooey, melted mozzarella binding the risotto. The Fennel and Endive Salad was crunchy and packed a citrus punch – a real palate stunner. 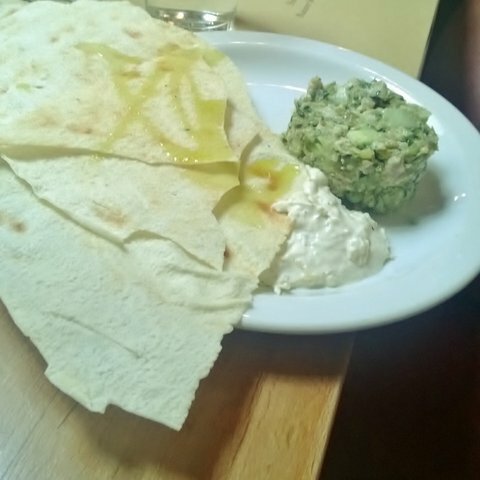 I loved the Mackerel Tartare, lively and bright mackerel combined with a zesty dressing and served with paper thin Carta di Musica with which to scoop it up. And then came the Venetian speciality – Risi e Bisi, served up by Russell Norman himself. Risi e Bisi is a traditional feast served when the first of the fresh peas are out and Polpo will be making good use of fresh, local peas at the Wilderness banquet. Not to be confused with its cousin risotto, this rice dish is creamy and more soupy, flavoured with a good stock, parmesan and the peas. 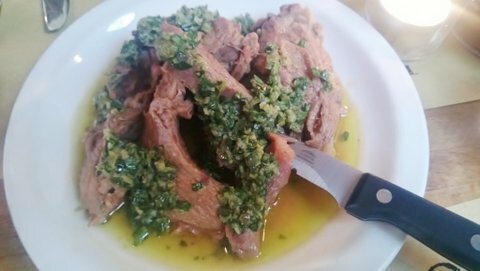 The Lamb & Salsa Verde which followed was perfectly cooked with a tinglingly fresh and herby sauce. 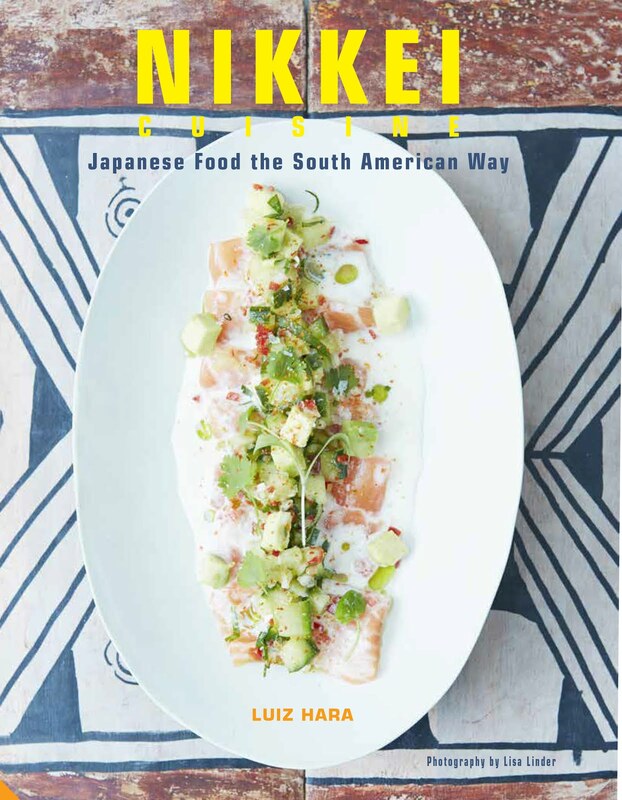 Dishes were well balanced, with light and healthy mackerel cancelling out the carb-heavy rice – well, in my book, anyway. We finished with the lightest, airiest Tiramisu which did, indeed, pick us up. 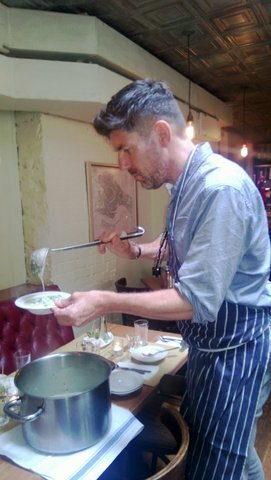 The Polpo banquet is a very good reason to attend the Wilderness Festival but tickets are almost sold out, so hurry. The Wilderness Festival is all about pleasing and indulging the senses so you can expect excellent cuisine from top chefs and brilliant new cooks as well as great drinks at every turn. And, of course, all the excitement of midnight circus acts, great bands, ballet, Shakespeare and even talks by Bonnie Greer and Damian Barr. I think it’s the best festival in the country, but I won’t be shouting too loudly about it.